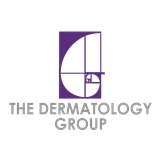 The Dermatology Group at East Penn (North Wales) - Book Appointment Online! We offer the highest quality care in general dermatology, skin cancer and skin cancer surgery, and cosmetic dermatology in a courteous, professional atmosphere. We excel at accurate diagnosis and individualized treatment and take the necessary time to help our patients understand the nature of their conditions and treatment. Please use our website to learn about our doctors, the services we provide, our office hours, the insurances with which we participate, and directions to the office. You may print out and complete the new patient forms in advance and bring them to your first appointment to save yourself some time. Stephanie was so knowledgeable, and took time to answer each of my questions thoughtfully. I will definitely be back in the future.